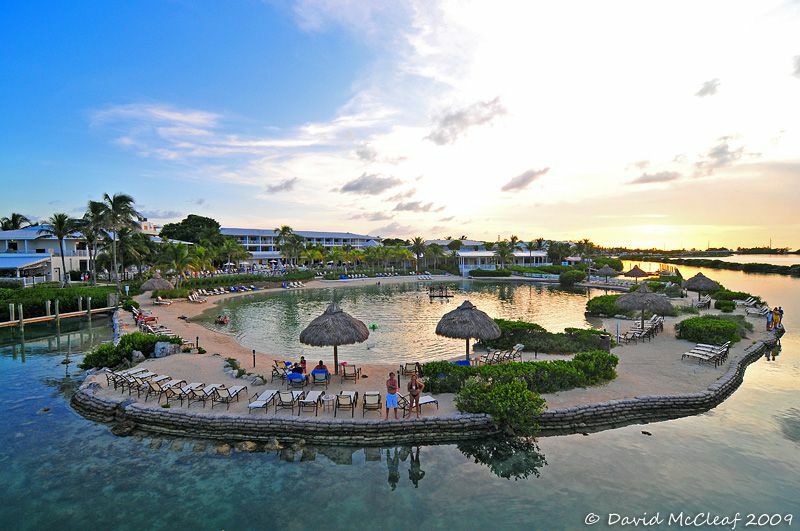 Photo courtesy of Hawks Cay Resort. 90 miles south of Miami, Hawks Cay is in the Florida Keys, on Duck Key between Islamorada and Marathon, 8 miles from the Marathon Airport. Driving time from Miami is about 2-1/2 hours; Key West is about 1-1/2 hours away. Duck Key has five islands, whose "sparkling grand canals are traversed by ornate Venetian bridges". Guests stay in villas or in a large inn. Villas have washer/dryer, kitchen, and other conveniences. one of the few places in Florida where you can snorkel on a coral reef: boat trips to great spots are available. This brief profile is meant to introduce this resort to family vacationers; please note that the writer has not visited in person. * Always check resort sites for updates.